A Certified Nursing Assistant is a medical officer who works in a medical facility and takes into the complete account of a patient. A CNA is a widely respected job and is gaining popularity. If you wish to choose to become a Certified Nursing Assistant, you must get into the right path and meet the CNA certification requirements to be certified. To work as a CNA, you must be at least 18 years or above. Also you are required to have at least a high school diploma or qualification equivalent to GED. The CNA training course is a 75 to 120 hours course which consists of both theoretical and clinical sessions. After completing the training course, you are eligible to sit for the CNA certification examination. To sit for the CNA certification examination, a student must have completed both the theoretical and the clinical sessions. Unless and until you don’t complete both the class sessions, you won’t be eligible to appear the certification examination. The CNA certification exam is conducted in order to test the knowledge and skills of the students and to ensure that they have sufficient knowledge to start a career in this field. To sit in the certification examination, all the students are required to pay the Exam fee. Also students should arrive at the exam center well on time. 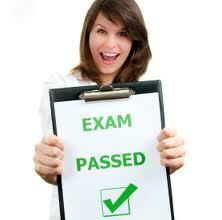 The certification exam consists of two sections. They are the written section and the practical section. The written part of the exam consists of multiple choice questions. The written part of the exam is aimed at checking the knowledge required to work in the medical field as a Certified Nursing Assistant. The written exam is generally straight forward. The sample questions for the written examination can be found on the internet. However, the format of the written exam may vary from state to state. After the written part of the certification examination is completed, the students are required to give the clinical part. The clinical part is the test of technical skills aimed at checking the skills of the students to work in healthcare facilities. To take the clinical examination, you may be required to take a volunteer to the examination center. Using the volunteer, you are needed to demonstrate the clinical skill that the examiner asks you. A state examiner is there to examine what you learned and how you apply them in your real life situations. Before you start the practical examination, you are required to wash the hands carefully and follow the procedures appropriately. The examiners examine your performed skills closely, so it is very important to perform well on this part of the examination. After you successfully pass the CNA certification examination, you are granted the CNA license and you are legally permitted to work as a Certified Nursing Assistant.